You spend so many nights in your bed that it makes it easier to fall asleep because you’re comfortable with your surrounding. When you sleep in an unfamiliar bed such as on holiday or in a friends home, it can take time to get used to. 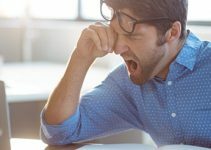 You can usually adapt but it’s common for it to take a couple of nights until you’re fully comfortable, but during the first couple of nights this can cause sleep deprivation leaving you feeling tired in the morning, and this can be worse if you’re travelling abroad where you have jet lag to also deal with. We’ve all been there when you’re in an unfamiliar room that has too much light coming in, a lumpy pillow and a strange smell leaving you tossing and turning for hours well into the night. Because of this, we’ve created this guide to contain the most effective tips for sleeping away from your regular home bed and what you can do to ensure you wake up in the room feeling fully refreshed. This is such an easy thing to do, but we often forget in the rush of booking a hotel room but when you first book your hotel room you can usually request to stay in a quieter room. These rooms will be located away from the lobby and entertainment sections of the hotel as well as being away from the main roads which can cause noise disturbances. Quiet rooms will also be away from lifts which can get busy with people especially in the evenings or early mornings when people are checking in and out of the hotel. If you have forgotten to do this, then you may be able to request this at the point of check-in. Additionally, if you check into your room and find it to be still too loud, then you can make a complaint and request to be moved. The quality of hotel will also play a part in how noise the hotel is because a more budget hotel will likely have thinner walls so more sound can be heard and they often have a higher turnover of guests moving in and out having short term stays. The great thing about hotels is that they will often have a temperature control system that you probably won’t even have in your own home. It means that you can tailor the room to the exact temperature that you want. The temperature of the room is critical because if it’s too hot or cold, it can make it difficult to drop off to sleep. If you’re the only one in the room, then this is even better as you can keep adjusting the temperature until you find the sweet spot and you don’t have to worry about anybody else’s needs. If you’re not staying in a hotel but, for example, at a friends house then you may need to be more accommodating as you may not be able to change the temperature of the whole home. To combat this, you should either bring a thinner cover if you tend to sleep hot or bring thicker pyjamas if you prefer a warmer environment. One thing that hotel rooms are is well lit and often have multiple light sources all around including above head spotlights and bedside table lamps. You’ll find it easier to sleep when it’s as dark as possible so it’s advised that you pack an eye mask because depending on the direction your room is facing you may not be able to block out the early morning sun. Maintaining a dark room won’t just benefit you, but also anyone else sharing the room including children. If children are woken up too early, then you’ll also have to start your day early, and then in the late afternoon, they’ll start to become more irritable when tiredness hits them earlier in the day. If you’re sleeping away from home, then it’s most likely to be in a hotel, and when you’re on holiday, you tend to relax more and indulge in heavier and more filling meals compared to your usual diet. Once you add in drinks and a few different desserts, this can cause quite a mix in your stomach. Now it’s okay to enjoy yourself but try and leave a few hours between your meal and bedtime; otherwise, you may find it difficult to get comfortable. Ideally, you should include a few foods that promote sleep such as Bananas or nuts. The quality of the pillow you sleep on has a significant effect on how you sleep, so why not make it easier and bring along the pillow you sleep on every night. Relying on your hotel or friends home to have a pillow to suit your sleep style is risky, and the last thing you want to do is turn up, and they have a saggy or lumpy pillow. It’s understandable that perhaps you don’t want to pack a pillow because the room in your bag may be limited, but you shouldn’t underestimate how much better you’ll sleep if you’re in an unfamiliar place. If you really can’t bring along your pillow, then bringing your existing pillowcases is an alternative which will make the hotel pillows feel more like your pillows from home. When you’re away from home on holiday, you may be entirely out of comfort zone in a different country with a different language trying different food. However, nothing interferes with your sleep like a change in your sleeping routine. This is especially the case when you’re away from home. Everyone has their bedtime routine when they’re at home no matter how long or short. So, when you go away, it’s recommended that you stick to this as closely as possible which will make it easier to drop off in your new sleeping environment. The other benefit is that when you return home, you won’t struggle to fit back into your original bedtime routine. A routine will be most beneficial for your children if they’re in a new environment and the more relaxed you can get them then the quicker they’ll fall asleep. If you’re on holiday, then you’re likely to have a more active day which means you need to allocate time to wind down at the end of the day. Most of your home rituals can be brought with you whether its drinking herbal tea or having a warm bath. Regardless of whether you’re staying in a 5-star hotel or sleeping on a friends sofa, preparation can be the difference between a bad or great night’s sleep. If you’re staying in a hotel, then you can research on the company website to see how the rooms look before you even step into the room. Not only this, but you’ll be able to see the surrounding area such as if it’s close to a busy road or noisy market. This means that you’re already be prepared and you won’t be walking in blind. So if you realise that it’s near a busy road, you can be proactive and either move hotels or bring a pair of earplugs. If you’re staying at a friend’s house, then it’s unlikely that there will be a choice of beds. But if you’ve visited before then, you’ll know whether the room is hot or cold and you can pack accordingly whether this means bringing an extra blanket or pillow to support your head. Some people can fall asleep as soon as their head hits the pillow even if they're in the back seat of a car. The majority of people don’t have this ability, so if you sleep in a different bed, it can take more time to fall asleep leaving you tossing and turning for several hours. No bed is going to be as comfortable as your own, and if you’re away from home, it’s unlikely that you’ll be able to lie in the next day to make up for the lost sleep at the beginning of the night. Our recommendation is to give yourself more time to fall asleep, so if it usually takes you 20 minutes to fall asleep, then you should give yourself 40 minutes. 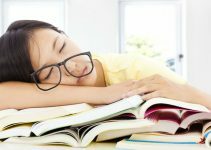 A common occurrence is that if you’re struggling to sleep, then you may start to stress and worry while continually staring at the clock, which then makes it even harder to get to sleep. By giving yourself more time, this reduces stress and worry allowing you to get enough restful sleep. If you’re visiting family or on holiday then you’re naturally more inclined to let the reigns go a little more and indulge in alcohol, and we want you to enjoy your time away. However, alcohol doesn’t help you sleep because it can prevent you from falling into a deep sleep which leads to you waking up feeling groggy in the morning. If you do ending up drinking alcohol, then you need also to consume water throughout the day to ensure that you stay hydrated which will stop you waking up in the middle of the night for a drink. It's even more necessary if you’re going to be in a warmer environment. Sleep sprays are an under-utilised product for sleep and are incredibly useful if you find it difficult to relax when you’re away from home. These sprays come in a range of fragrances including lavender or chamomile and are simply sprayed onto the top surface of your pillow. This relaxes you and removes the usual “new” smell that hotel pillows often have which makes it more homely to sleep on. You can either buy the sprays pre-mixed and labelled, or if you already know your ideal ingredients, then you can create your unique blend. If you usually need white noise present to fall asleep then bringing your white noise machine may not be a practical solution. If you typically wind down for bed by watching TV or you normally feel homesick, then it’s a great idea to bring something that reminds you of home. While we’re not huge advocates of taking electronics to bed, allowing your brain to wind down before bed can help you fall asleep quicker. It’s important however to limit the time you’re exposed to the devices before bed, and ideally, you should watch it before getting into bed. If you’re going somewhere without an internet connection, then you can download them onto your tablet or another device which can then also be used by your children. How to Deal With a Partner Who Has a Different Sleeping Pattern? Cosy Sleep Copyright © 2019.